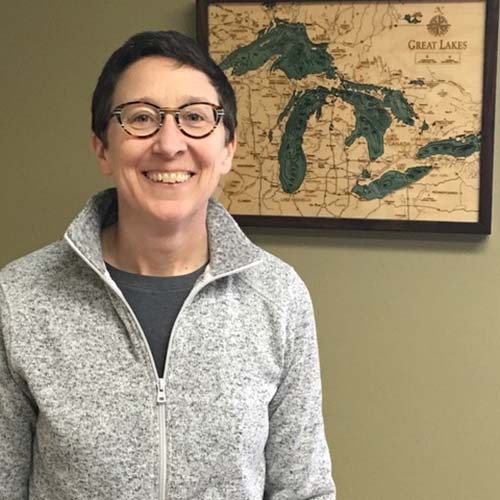 Jill Ryan is executive director of Freshwater Future, based in Petoskey. In January of last year, Michigan Department of Environmental Quality (MDEQ) declared Flint’s drinking water “restored” - citing tests showing that 90 percent of residential samples had lead levels at or below 6 parts per billion (ppb). This means that Flint is legally complying with the lead and copper rule. But that does not mean residents can safely drink from their tap. Related: After Flint, Michigan toughened lead rules. Now water utilities are suing. “The way Lead and Copper Rule compliance is calculated, 10 percent of sampled homes can have any level of lead whatsoever and the water system can still meet the lead action level,” Elin Betanzo, founder of Safe Water Engineer LLC and leading expert said. So that means your home can have lead levels in the 100s and as long as you are in the 10 percent - the city will still be complying with federal standards. Low vs. high lead levels are misleading anyway, even if your home’s lead levels reads 4 ppb, your tap water could still negatively affect your health. An exceedance of 15 ppb by more than 10 percent of homes is not a health-based standard, it is just a methodology to indicate that the water distribution system’s corrosion control methods are not effective enough. Fifteen ppb may be the national “action level” for lead, but absolutely NO amount of lead is safe for human consumption according to the EPA’s maximum contaminant level goals. However, MCLs are technically non-enforceable health goals - reserved for contaminant levels in drinking water at which no adverse health effects are likely to occur with an adequate margin of safety. The Safe Drinking Water Act should be legally requiring municipalities to provide drinking water that can be labeled safe using health-based standards but that is just not the current case for lead. Should Flint accept the health risks of drinking lead, just because other cities are? Lead is bio-accumulative, meaning it builds up inside the body at a rate faster than the body can get rid of it. From years of drinking water with extreme lead levels, Flint residents are even more susceptible to health effects because of this bioaccumulation. “Flint residents now have a body burden of lead that cannot be removed, so they must remain even more vigilant about their future lead exposure than those who have not been drinking the water in Flint. The two most effective strategies for this are using lead removing filters or bottled water.” Betanzo says in her letter to the Detroit News. The fact is no city and no resident in the United States should accept anything other than safe drinking water from their local municipal water source. And according to the Environmental Protection Agency, safe means absolutely no lead, at all. Because of our aging infrastructure and the composition of our pipes and fixtures, attaining zero levels of lead at every tap is not currently feasible, but that doesn’t mean residents should not take additional action. Filters that remove lead can greatly reduce the amount of lead in water if properly used and maintained. And we should be pressing our elected officials to do better, both to ensure that corrosion control is used and closely monitored, and to remove our lead pipes as quickly as possible. What about the dioxins you know Agent Orange in the Flint river! They can remove lead from a person body,,, it is costly and very painfull. The major problem with lead in a person body is that a woman can pass the lead to her unborn baby@@!!! My family lives in Flint, and our house had high lead levels and orange water during the water crisis. Folks in Flint are NOT reassured when the same DEQ that previously lied to us tells us that the water is fit to drink. Maybe it is, and maybe it isn't. When someone tells you that drinking bottled water is a solution, consider that much of that water is pumped out of the ground and may contain whatever chemicals sunk into the aquifer from who knows where. For example, can you say with confidence that the Crystal Mountain water that Nestle sells you is free from PFAS? It was a mistake on their part also for listening to the city's water consultant. I don't blame the people for not trusting them, but last I knew, all the testing was being done at MSU and Virginia Tech. If you haven't, they will come to your house and take a sample if you request it. That isn't exactly how it works either. The last results I read were all far below 6 ppb. It was also noted this is below 90% of the municipal water systems nationwide. However, it should be noted people where the service lines are being replaced do not let anyone take samples, the last I knew. If someone has a higher level, they are immediately notified and usually the county, or city, will work with them to identify the reason for the discrepancy. I agree we should try to get to zero lead. Once the treatment plant and oldest sections of the distribution system are replaced, all that will be left is the plumbing in the houses and buildings, as well as the water system from Detroit. An unimaginable project at this time. Although plastic has its own set of problems. EPA regulations require the utility to promptly notify the property owner of the individual lead and copper sampling result from their home. In the case of individual high results (i.e. lead >10 or 15 ppb), I believe every responsible utility should work with the individual property owner to collect more data (resample) to confirm the high result, determine the source (lead/galvanized service line v internal plumbing), and identify and follow through on corrective measures (service line replacement, tap filter, etc. ), and extra preventive measures for those at greatest risks (i.e bottled water for infant formula). Utilities and homeowners need to work together.